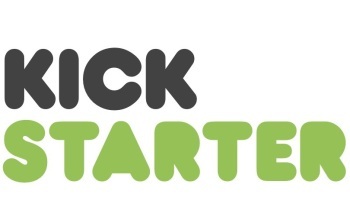 Kickstarter says its "all-or-nothing" funding policy is necessary to protect both creators and their backers. The failure of the Alpha Colony Kickstarter, which missed its $50,000 funding goal by $28 and therefore ended up with nothing, was a sad tale, although in the big picture it was apparently more good news than bad. Even so, it led to some discussion about the nature of Kickstarter goals, and whether its policies should be a little more flexible for projects that come so tantalizingly close to their targets. But Kickstarter says no. For one thing, allowing projects to be "successfully funded" with less than their target amount puts an added strain on the creator, who may have to honor backer rewards with less money than planned. The policy also protects backers, who pledge to support a project on the assumption that it will receive a certain minimum of funding and therefore have a reasonable shot at success. There's even an emotional component to it. "It creates this narrative arc," a Kickstarter rep told Gamasutra. "People get sort of emotionally invested in this idea. If you're approaching the deadline, and you're short, people rally behind it. It's almost like a gamification." The rep also pointed out that even if a Kickstarter fails, it still helps build a community around the project and provides experience that can be used in a future kick at the crowdfunding can, either on Kickstarter or elsewhere. "It's not like you're walking away with nothing," the rep said. This was actually Alpha Colony's second shot at Kickstarter, but it doesn't sound like it will be the last. In the most recent (and presumably last) update, DreamQuest Games founder Christopher Williamson advised supporters to follow the game on Facebook so they can be notified when it tries again.